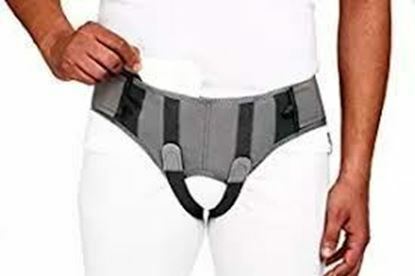 Tynor A-16 Hernia Belt offers a gentle and constant relief from reducible inguinal hernia by providing adjustable and comfortable pressure to the hernia. On wearing the belt the occurrence of herniation gets eliminated. Available sizes: S (28"-32") M (32"-36") L (36"-40") XL (40"-44") XXL (44"-48") Salient features of Tynor A-16 Hernia Belt: Presses the inguinal aperture at the appropriate angle, enhances the effectiveness. Appropriate hardness, light weight, smooth and comfortable. Can be worn inconspaciously under the cloth, aesthetically pleasing. No rash or allergy, soft and skin friendly. 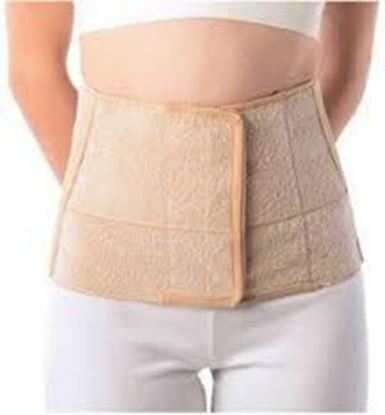 Vissco Abdominal Belt- 0501 helps in toning the abdomen muscles. Size: Large (8 inches) Key features of Vissco Abdominal Belt- 0501: This belt lifts and carries the extended abdomen providing proper support without squeezing and cramping. 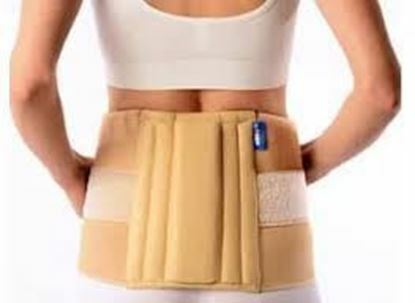 It is ideally suited for horizontal incisions of the lower, middle or upper abdomen. It product is skin friendly. It is made using crochet technology that allows for an air permeable fabric that gives a ventilating effect and reduces sweat. Provide soft support to the body while still allowing it to move, Fabrics are tested for anti-fungal and anti-bacterial properties. Use: Post pregnancy support. Abdominal surgery and post-operative support. 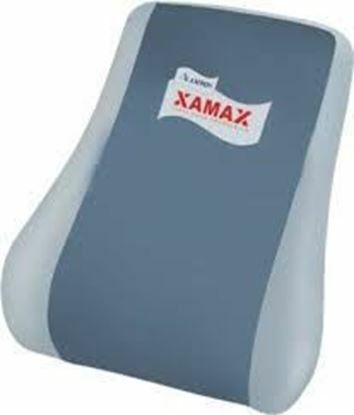 Aids in toning the abdomen muscles (tummy trimmer). Vissco Sacro Lumber Belt- 0101 in particular goes a step further and provides a proprioceptive compression that stimulates metabolism, further reducing muscular discomfort. Size: Large Key features of Vissco Sacro Lumber Belt- 0101: It provides noticeable therapeutic relief for the lumbar spine. Support the back muscles. Promote good posture. And even helps reduce pelvic anterotation. Its skin friendly. Provide soft support. Ergonomic fit. Double locking. Anti-fungal. Use: Chronic low back pain or strain muscular imbalances in the lumbar spine area. Spinal conditions (e.g. osteochondrosis / spondylosis / facet syndrome / slipped disc). Osteoporosis. Post surgical lumbo-sacral immobilization. 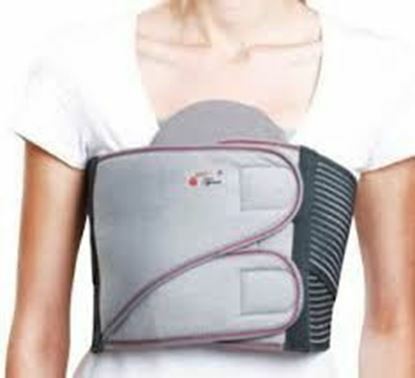 Tynor A-11 Chest Binder is applied to the thoracic region to compress and bind the rib cage and provide splinting to the sternum while allowing sufficient flexibility for comfortable breathing. Available sizes: S (28"-32") M (32"-36") L (36"-40") XL (40"-44") XXL (44"-48") XXXL (48"-52") Salient features of Tynor A-11 Chest Binder: 50 mm thick PUF pad hold and binds the fractured sternum without compromising on patient comfort. Strong elastic band gives good grip and helps in equidistribution of pressure. Reduces post-operative pain and discomfiture. Facilitates phlegm expulsion after cardio thoracic surgery.